Rob’s comprehensive sales training self-study programme features a complete set of DVDs, audio CDs, your own copy of the No. 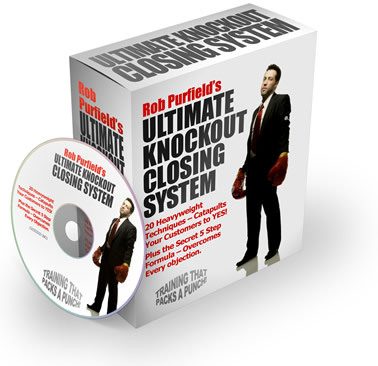 1 book on closing “The Ultimate Knockout Closing System”, and a special Bonus ‘Secret 5 Step formula’ overcomes every objection. Click here for more information on this exciting new programme.